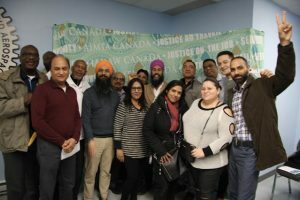 Toronto, ON – Federal New Democratic Party leader Jagmeet Signh told IAM members employed at Toronto’s Pearson airport he will fight airport privatization on their behalf. Singh accepted a petition signed by more than six thousand IAM members from across the country who are opposed to the federal government’s idea of privatizing 18 Canadian airports to raise funds for infrastructure projects. 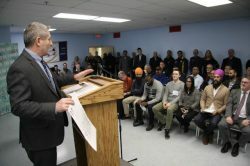 Singh told more than 100 IAM airport workers today, public infrastructure should remain public and that includes airports….